Lok Sabha election 2019 is around the corner, and ahead of that date, we help you check if your voter name or voter ID is part of the voter list. Voting is a crucial part of any democracy and India is no exception to that. 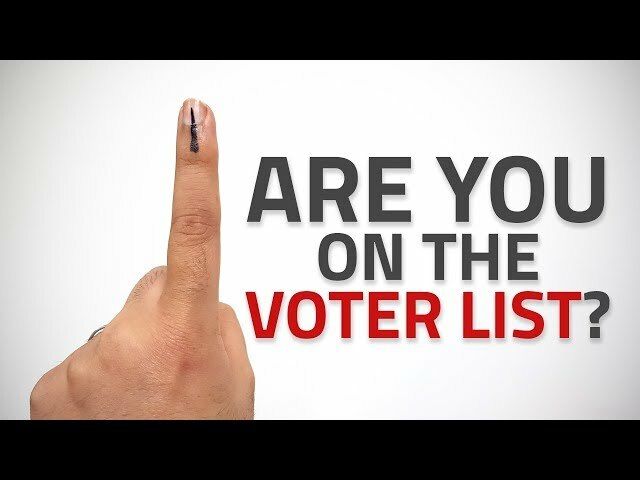 With general elections of 2019 approaching and state elections to be held before that, it’s always better to check if your name is still on electoral rolls in India. Voter lists keep changing in the country and sometimes it means that your name could be missing from the electoral rolls. The Lok Sabha election 2019 will take place in seven phases with the first phase on April 11 and the last phase on May 19. Read on to find out how you can check whether your name is present in the voter list or not. If you want to vote in any election, whether it’s the Parliamentary elections of 2019 or state elections, you need to have a voter identity card issued by the Election Commission of India and your name should be on the electoral rolls. Just having a voter ID is not enough for you to cast your vote whether you’re in Delhi, Bihar, West Bengal, Telangana, Maharashtra, or any other state in India. That’s why it’s very important to check if your name is on voter list well in advance of the elections. Go to the National Voter Services Portal’s (NVSP) Electoral Search page. If your name is on electoral rolls, you will be able to see it below the Search button. If nothing shows up, there’s a good chance that your name is not on the voter list. In case you don’t have your voter identity card with you and thereby don’t have your EPIC number, these steps should help you check if your name is on the voter list. If you see a result in the area below the Search button, that means your name is on the voter list. If not, then it’s probably not there. Voter identity cards in India don’t always have correct spellings of people’s names. We know several people whose names have been misspelled on their voter ID cards and there’s a chance that the Search by Details method isn’t yielding the desired results because the spelling of the name doesn’t match that on the Election Commission’s database. That’s why we suggest that you look for your name on electoral rolls via the EPIC number as it’s far less likely to return a false result. Some states such as Andhra Pradesh, Bihar, and Tamil Nadu also let you check whether your name is on voter lists via SMS. To do this, head to the Election Commission’s page for Chief Electoral Officers’ (CEO) websites and select your state from the list. After this you’ll have to find the option that lets you search electoral rolls. This is where each state’s CEO lists whether there is an option for checking your voter list status via SMS. For more tutorials, visit Gadgets 360’s How To section.